People are at the heart of our business. Our workplace creates an atmosphere that inspires innovation and ideas, creates passion, encourages diversity and equal opportunity. Our employee-centric ethos ensures that people are constantly challenged and given the opportunity to develop and learn. 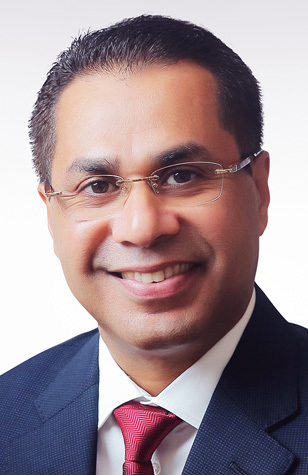 Faizal Kottikollon is the Founder and Chairman of KEF Holdings, a diversified company with operations in the Middle East, India, and Singapore. He is a visionary industrialist and philanthropist, widely respected for his, business acumen and passion for giving back. In 2012, he successfully sold his flagship valve – manufacturing venture Emirates Techno Casting (ETC), for USD 400 mln. 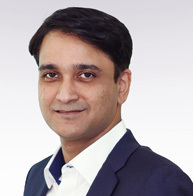 Today he is at the helm of KEF Holdings leading fast- growing technology driven ventures in offsite infrastructure manufacturing, healthcare development and strategic investments. Faizal is also a member of the Indian Prime Minister Narendra Modi’s prestigious panel of Champions of Change for Infrastructure. A humanitarian at heart he is the Co-founder and Director of the Faizal and Shabana Foundation that is giving back by creating sustainable initiatives to build a more equitable society. Shabana Faizal’s entrepreneurial journey spans 20 years encompassing retail, printing and technology. 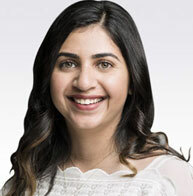 She is instrumental in supporting her husband, entrepreneur Faizal Kottikollon, in setting up and running KEF Holdings a diversified company with operations in the Middle East, India, and Singapore. She was actively involved in the successful creation and sale of its flagship valve-manufacturing business Emirates Techno Casting (ETC). Her current role as Vice – Chairperson, sees her guiding the business growth strategy in offsite infrastructure manufacturing, healthcare development and strategic investments. Shabana’s latest entrepreneurial venture, Printeresting, is state-of-the-art print shop that brings together her love for design, art and technology. Deeply committed to social work, Shabana is the Co-Founder and Director of the Faizal and Shabana Foundation that is giving back by creating sustainable initiatives for the underprivileged. 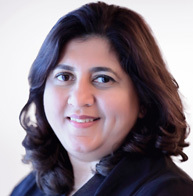 Farzana is the Chief Corporate Officer and a strategic advisor to the board of directors at KEF Holdings on people and strategic business decisions. She is responsible for HR, Legal and Corporate Affairs at KEF Holdings. 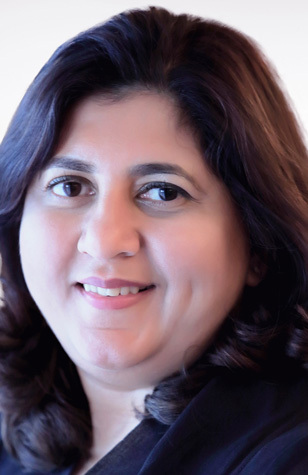 Farzana has over 20 years’ experience of working at a strategic level with some of the world’s successful FTSE 250 and Fortune 500 companies. She has extensive experience in start ups and setting up human resources and corporate governance functions from scratch, as well as leading mergers, acquisitions and turnarounds across the UK, Middle East, Africa and Far East regions. 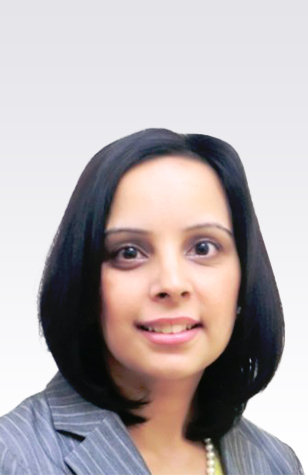 Farzana is a Chartered Fellow of CIPD and holds a Post Graduate Diploma in HRD from the UK. 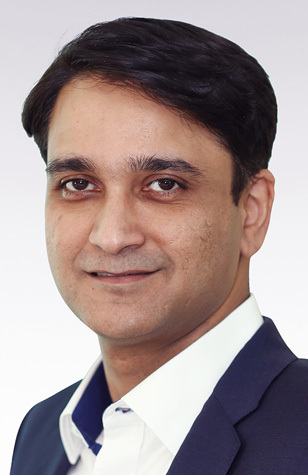 Prashant Mehta is a banking professional with over 18 years in the industry. In his role, he advises the group on investment decisions, new investment products and identifying new opportunities in local and global markets. 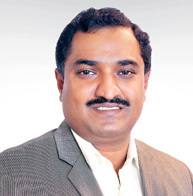 A native of Mumbai, he has experience in wealth management and private banking. 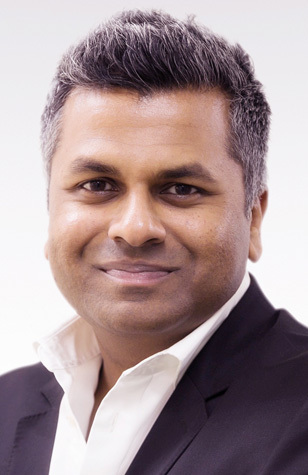 Sreekanth Sreenivasan is a strategy and business development professional with over 17 years in the field. He started his career at the United Nations, first as a Junior Professional Officer at the International Atomic Energy Agency (IAEA) – the UN’s Nuclear Watchdog- and later as a Private Sector Development Consultant at the United Nations Industrial Development Organization (UNIDO). Prior to joining KEF, he was Head of business development for the Afras Group of companies which had investments in the UAE and India. 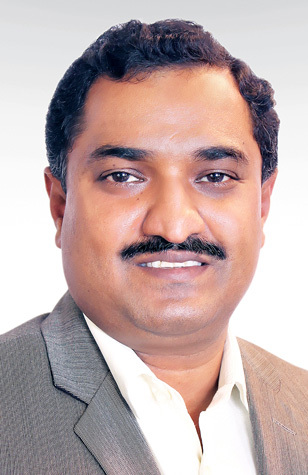 A doctorate in social work, Dr. Joseph Sebastian has over two decades of social development experience. Starting his career as a community development worker, Dr. Sebastianwent on to become an academician, as a professor and principal of YCISS, Satara, Maharashtra. Prior to becoming the Director of the Faizal & Shabana Foundation, Dr. Sebastian was the Executive Director of Indo Global Social Service Society and before that he was the Director Operations and Director Monitoring and Evaluations at Project Concern International, a US-based non-profit organization. 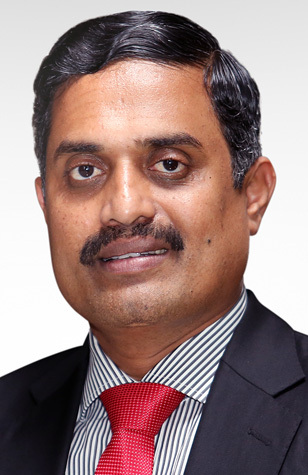 Head of Corporate Finance Mr. Narsimhan V is a finance veteran with over 20 years of vast experience in the industry. He is competent in all aspects of accounting and financial management, leading financial and operational turnarounds, directing and managing responsible financial growth, and delivering significant profit increases. In the past, he has displayed great proficiency in managing the development and implementation of strategic plans to ensure the growth of various multinational companies. His result oriented and pro-active approach to any challenge makes him manage multiple assignments under great pressure and tight deadlines. Some of his proven expertise areas are – Auditing/ Taxation, Trade Finance, Cost Control /Internal Control, Profit Maximization, Cash Flow/Fund Flow Management, Bank Negotiations & Relations. 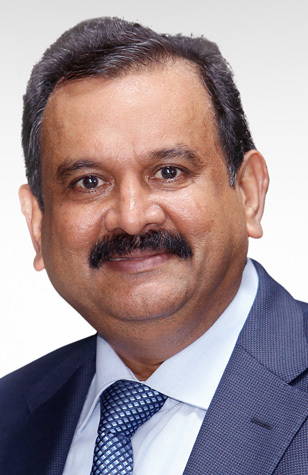 General Manager Mr. S Balagopal is the General Manager to Chairman’s office at KEF Holdings. 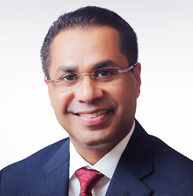 He has been associated with the KEF group for more than a decade and is a senior member of the core team. Having worked in the banking and finance sector for more than 24 years he has gained immense expertise in this field. Exposure to the varied markets of India and Dubai in the financial sector has made him a seasonal professional. He is well versed with all operational functions and in his current role deals with government and third party liaisons, as well as drives Banking Facilities, Taxation and Licensing related matters for the Group. He undertakes end-to-end responsibilities for all projects assigned to him with great diligence. He is extremely passionate about his work and has been closely working with the Chairman & Founder since 2006. 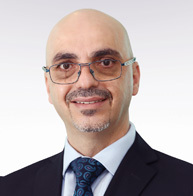 Zaher Akhras is the Head of Public & Government Relations at KEF Holdings. He brings with him an experience of 20 years in the entire spectrum of Public Affairs and Government Relations. 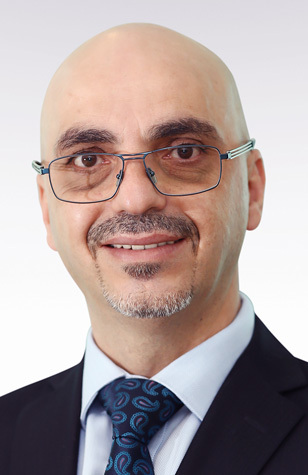 In his role, Zaher represents the group in all matters related to government relations and liaisons and is seen as a sector expert. A people’s person, Zaher strikes a personal chord with his work associates and is always focused on providing professional solutions to all employee related concerns. Zaher holds a Bachelor’s degree in Tourism and Hotel Management and has been a part of the KEF Holdings for the last 4 years. Richard is the CEO and a strategic advisor to the Board of Directors at KEF Holdings. He is responsible for the overall management of the business and its subsidiaries, in addition he will head global strategic partnerships, investments and philanthropic collaborations. 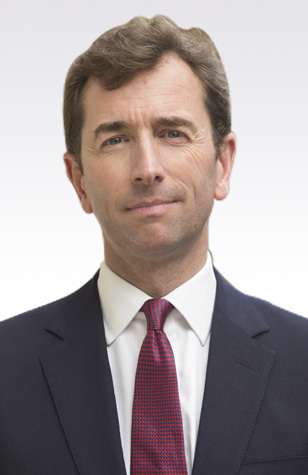 Richard was previously Vice Chairman of Standard Chartered Private Bank, a position he joined in 2014, where he was responsible for co-investment initiatives, next generation programmes, global philanthropy, and Commonwealth connectivity for several hundred influential families across Asia, Africa, the Middle East and Europe. He was previously Master of the Household for Their Royal Highnesses The Prince of Wales and The Duchess of Cornwall, having joined the Royal Household in 2004. Richard started his career in the British Royal Air Force as a pilot in 1989, flying battlefield helicopters and serving in a variety of operational and staff roles until 2008. 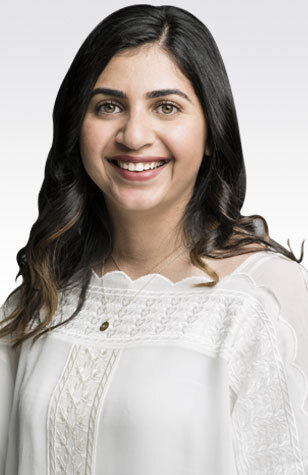 Sophiya Faizal heads KEF Living our home concept. Her current role involves creating the business strategy and go-to-market concept for the business, aiming to simplify, accelerate and offer personalized solutions to home buyers. She is working with industry leaders in the architectural and structural design world and integrating modular technology, prefabrication, end-to-end offsite manufacturing solutions and digital technologies to create a unique – Customer Centric Home Buying Experience. In her previous roles she has worked with Harsco Metals & Minerals, Kauffman Fellows and Emirates Techno Casting and has a degree in Materials Engineering from the University of Illinois Urbana-Champaign.